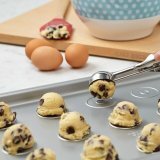 Remember cookies baking in your grandma’s kitchen? Now it’s your turn. 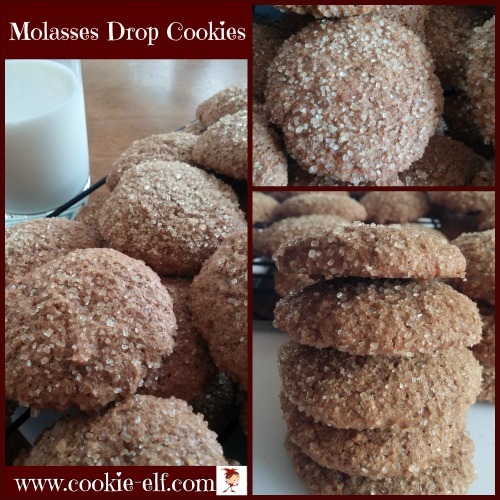 And it’s easier with this Molasses Drop Cookies recipe. Enjoy! Molasses Drop Cookies are rolled into a ball, flattened with a drinking glass, and sprinkled with decorator sugar before baking. Just like Grandma made. Or your image of a grandma baking cookies. But the real tweak in this recipe compared with traditional Molasses Cookies (apart from the molasses, of course – that thick, bittersweet syrup from sugar cane that was used as a sweetener until World War I) is the grated orange peel. Yessiree, that twist of citrus does it. 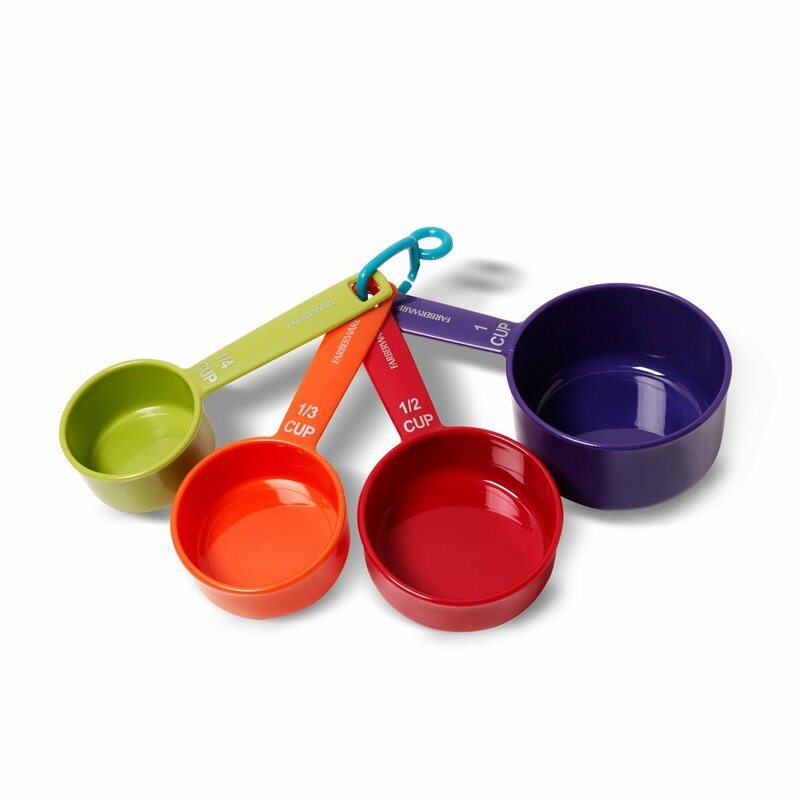 This version makes cookies that are soft – not crisp, like traditional ginger cookies or ginger snaps. It’s all in the proportions, folks. Get the full Molasses Drop Cookies… and check out our Drop Cookies Pinterest board for more easy drop cookie recipes you can make for Christmas.